You'll be £10.00 closer to your next £10.00 credit when you purchase Letters from the Light Brigade. What's this? 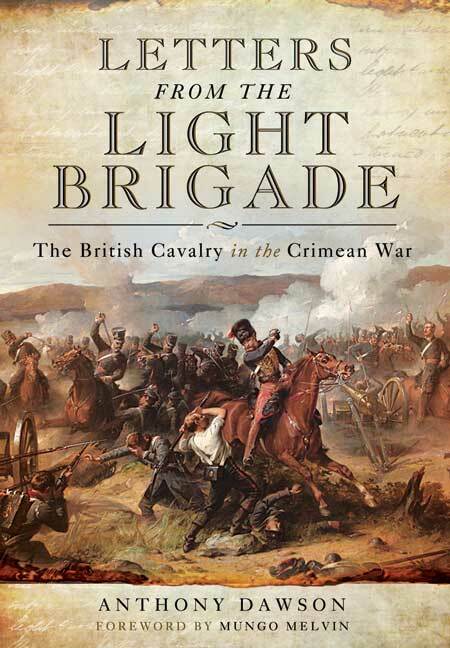 The Charge of the Light Brigade is one of the most famous, controversial and emotive small-scale actions in military history. Over the 160 years since the event, and since it was immortalized in Tennyson's poem, it has generated a stream of writing and debate. Yet, as this new book by Anthony Dawson shows, the subject is far from exhausted. His selection of previously unpublished letters and journal accounts of the two cavalry charges at the Battle of Balaklava is a notable addition to the literature on the Crimean War. It offers a direct insight into events on the battlefield as they were seen and understood by those who witnessed them and by those who took part. In their own words, and in the language of the time, the men who were there recorded what they knew and felt. As featured in the Yorkshire Post, Huddersfield Examiner, Yorkshire Standard and on BBC Radio Manchester. A startlingly intimate view of war, showing all perspectives. Dawson includes officers' letters, but includes many letters written by private soldiers and junior noncommissioned officers belonging to the newly-literate masses. 'Letters from the Light Brigade' is a book worth reading, if only to remind readers how much things have changed since the 1850s, yet how much people have remained the same. Anthony Dawson is less interested in the long-running blame game than in giving us an insight into the experience of the relatively lower ranks. We are presented with hundreds of letters from privates, trumpeters, corporals and sergeants. Dawson has admirably traced many previously unpublished or obscure accounts from a series of archives and 160-year old newspapers. The author has made a very god selection of previously unpublished letters that were written within eight days of the battle. This is primary source material that provides unique insight. As on can imagine, the arguments surrounding the Light Brigade and Captain Nolan are all debated in full and the novel approach to the subject makes reading this fine book a real pleasure. The author achieves an attractive blend of narrative and letters, with a wealth of detail from minor tactics to horse management. A delightful book, of appeal to both the wargamer and the historian. Letters written in the days after doomed mission of Charge of the Light Brigade reveal troops thought orders were 'perfect madness' but describe bravery of horsemen. Anthony Dawson is an archaeologist and historian who has made a special study of the Crimean War. As well as writing articles on the subject in magazines and journals, he has published books on Napoleonic Artillery, French Infantry of the Crimean War and Wakefield Voices from Sebastopol. Currently he is working on several projects that focus on the experiences of British and French soldiers in the Crimea.